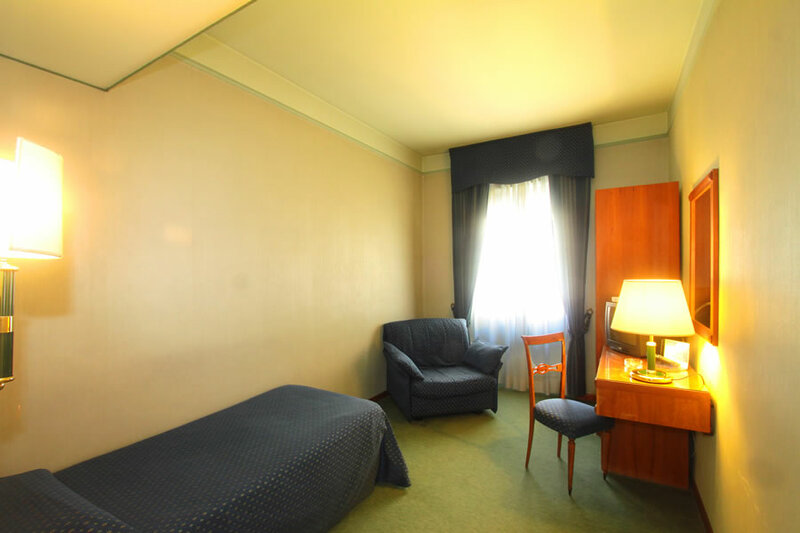 Large and cosy rooms, with a classic and clean style, are waiting for you to enjoy full relaxation. They all have air conditioning, flat screen TV, soundproofing, bidet and cleaning products. Upon request, you can benefit from wake-up calls and breakfast in the room. The rooms, like the whole building, are designed for all types of needs, including for people with disabilities. Refined and tasteful blue room, in a mauve setting. . Double bed “sommièr” (i.e. 2×2 meters wide), Sky channel HD, color tv. Marbled bathroom with hairdryer and beauty set. Refined and tasteful blue room, in a mauve setting. Double bed “sommièr” (i.e. 2×2 meters wide), Sky channel HD, color tv. Marbled bathroom with hairdryer and beauty set. 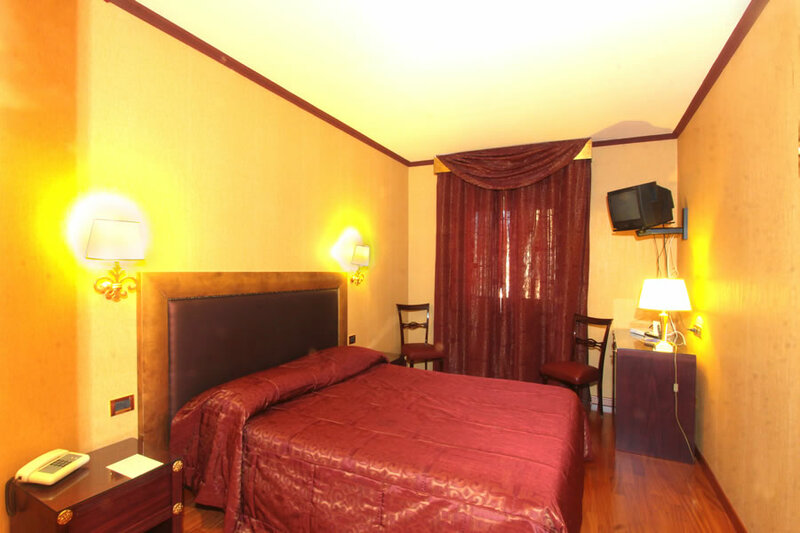 Refined and luxurious room, with Bordeaux and golden details, cherry wooden parquet. Double bed “sommièr” (i.e. 2×2 meters wide) Sky channel HD, color tv. Marbled bathroom with hairdryer and beauty set. The ideal room if you have to work, thanks to the big writing table. 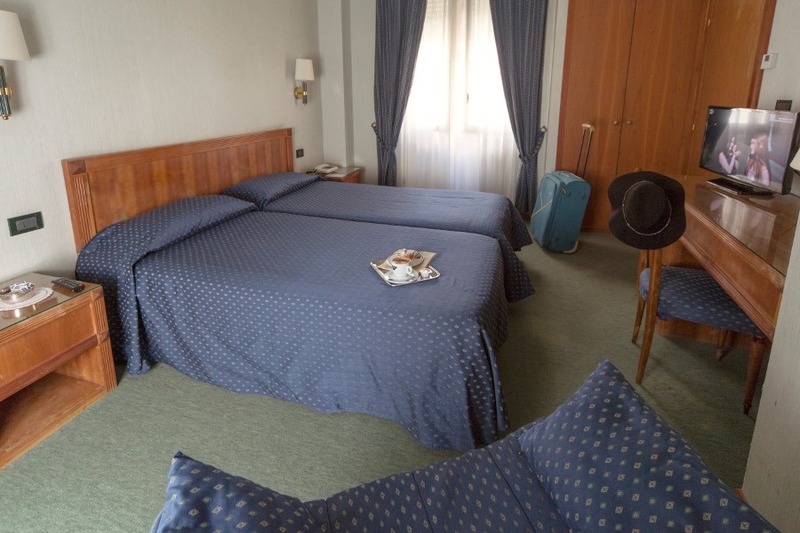 Big room (25 square meters) with double bed (2×2 meters) and sommier with relax area equipped with two cozy armchairs which can be transformed into 2 beds for your children. Bar service included. Marbled bathroom with hairdryer and beauty set. This suite is characterized by the warm and spacious colors. 32 square meters. 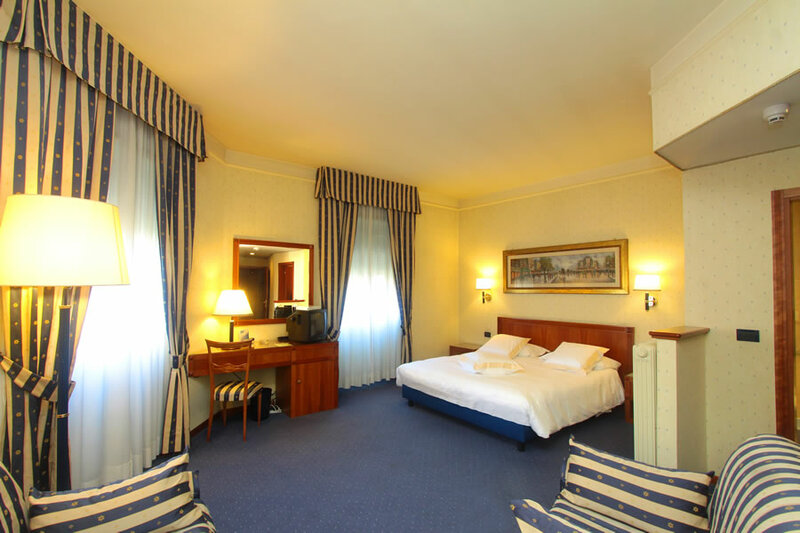 The suite offers two large rooms , one with a “sommièr” (i.e. 2×2 meters wide) and the second one with a abed and a couch. Large marbled bathroom with basin, beauty set and hair dryer. The ideal solution if you are looking for something exclusive which will make your stay unforgettable. 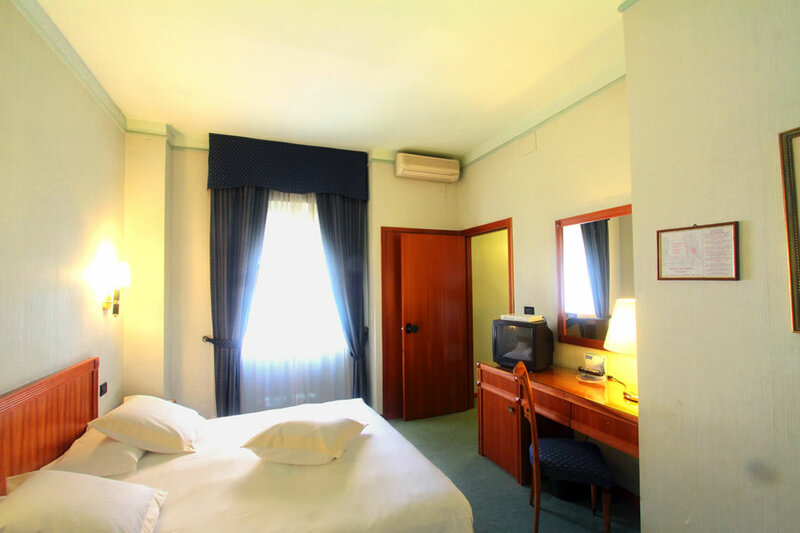 Comfortable room finished in classic style, in full coherence with the building. With a mauve/green design, it has a comfortable single bed, wardrobe and SKY HD Colour TV. Marble bathroom with hairdryer and toiletries.